Our vision and action for a better world. Balance for ourselves and nature. Mother-Daughter owned and based in a small rural community, our mission is to spread awareness for a balanced, plant-based lifestyle with products that have positive effects on the world. It’s our goal to inspire you to have a healthy body, sharp mind and bold spirit. Macrobiotics is the key to a long, healthy life. Living a macrobiotic lifestyle means eating in a way that is in balance with your bodies, your minds and the environment. To achieve this you can choose local produce that’s in season and food that makes a positive impact on the world such as organic, non-GMO and fair-trade. We use premium, natural ingredients. We believe that food quality impacts health, happiness and well-being for all. That’s why we make our bars from the grains, nuts, seeds, plants and natural sweeteners used by traditional cultures throughout the world. Our wholesome, healthy bars are Certified Organic, Vegan, Gluten-Free, Kosher, non-GMO, R.A.W. and C.L.E.A.N. Here at GoMacro, we live a balanced, plant-based lifestyle. By combining both macrobiotic and vegan philosophies, we’re able to feel good about what we eat, how it tastes, and how it sustains the environment. We’ve created delicious, plant-based bars to support your goal to go vegan. Striving to minimize our environmental impact. To reduce our environmental impact, we have joined forces with Climate Collaborative to take action in reducing our carbon footprint. Additionally, we source local ingredients and favor small growers that abide by sustainable farming techniques. It’s our hope that when you purchase our MacroBars, you feel good about the source and impact of their ingredients. Paying it forward has a unique way of creating a chain reaction of awesome, world-changing goodness. Our hope is that the more people we give to, the more it will inspire others to give back. Click here to learn more about the organizations that we support. Tell A Friend. Make A Difference! 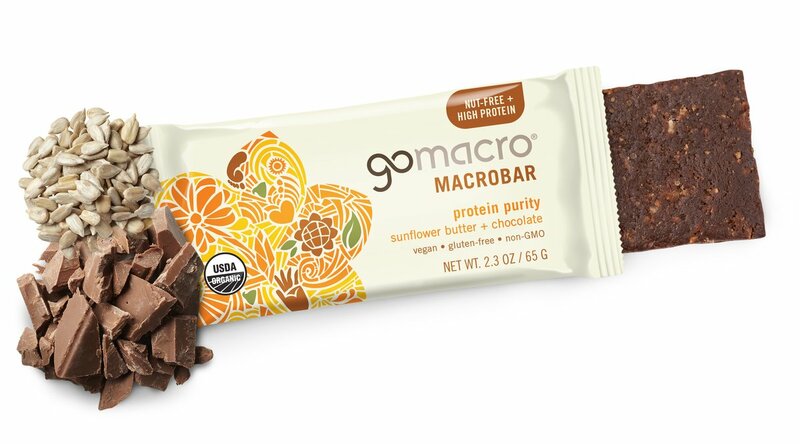 Share the power of GoMacro and a plant-based diet.